(Day 9 Practice Session)….Hey there, Gang!! After today, only 2 more practices to go before our BIG PERFORMANCE!! Woo Hoo!! Are you getting excited?? Okay everyone…let’s go…. “ON THE NINTH DAY OF SPECIALS, MY QUILT SHOP OFFERED ME……. AND A WHOLE….FLOCK OF THREAD…………..!! AND SQUARE RULERS OF ALL SI…..ZES! TODAY’S SPECIAL IS A GRAB BAG OF PATTERNS! This special will be available until Midnight on Thursday, December 15, 2016. The Grab Bag will contain a minimum of 6 patterns and will sell for $25 per Grab Bag. That’s $40 to $60 worth of patterns for just $25. Even if you get one or two you don’t think you would make, they would make great gifts or items for a gift exchange! We simply have too many patterns in the shop for everyone to choose from, so we will do the choosing and you get more for your money! 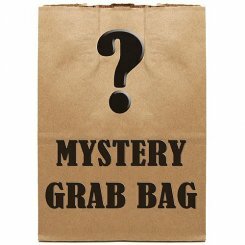 Just tell us how many bags you would like and we will do the rest! 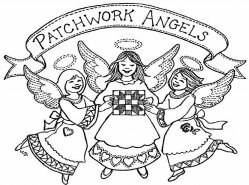 Send an e-mail to INFO@PatchworkAngels.com to place your order or call the shop at (607) 748-0682 prior to midnight on Thursday, December 15, 2016. Our one day IN STORE special for Wednesday, December 14, is 30% off on all Patterns and Books in the shop! This sale is valid only until 5 pm on Wednesday, December 14. Happy Holidays from all of us at Patchwork Angels Quilt Shop!